Mobilio Condos is a new pre-construction project located at Hwy 7 and Jane. Developed by Menkes. Menke’s newest master-planned community located at the heart of the ‘Vaughan Metropolitan Centre’ the epicentre of convenience, connectivity and innovation. This is the FIRST PHASE of the community offering unparalleled value to all buyers. -Incredible opportunity to invest in an emerging downtown before it is developed! 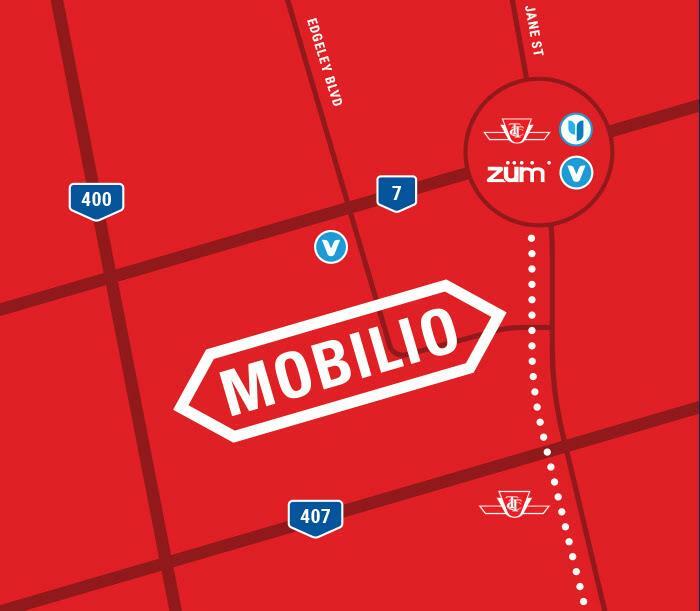 Mobilio is a joint venture from Menkes and QuadReal. Menkes is one of the most trusted names in the Toronto marketplace, with over 60 years of experience and landmark mixed-use projects including Four Seasons Hotel & Residences in Yorkville, Empress Walk in North York City Centre, and Harbour Plaza / One York in the South Core district. As one of the largest private developers in Canada, Menkes is a fully-integrated, multi-disciplinary real estate organization, that engages in both residential and commercial/retail development, with in-house design, construction, customer care and property management teams. QuadReal was established to manage the real estate program of the British Columbia Investment Management Corporation (BCI), one of Canada’s largest asset managers with a $145.6 billion portfolio. With objectives to deliver prudent growth and strong investment returns, and to create and sustain environments that bring value to the people and communities it serves, QuadReal has a $27.4 billion portfolio of operations spanning 23 global cities across 17 countries. Together, Menkes and QuadReal have the expertise and resources to deliver the exciting and innovative vision of the Mobilio community.